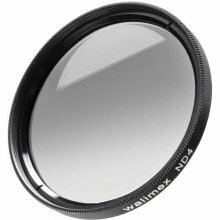 The ND filter by walimex ensures an even dim-out of the picture. It reduces the amount of light and by doing that also extends the shutter speed by 2 f-stops. The filter makes longer exposure times possible, giving you a wiping or flowing effect in long exposure shots. With it, e.g., flowing water looks very soft or like flowing fog. The ND filter has great optical characteristics. 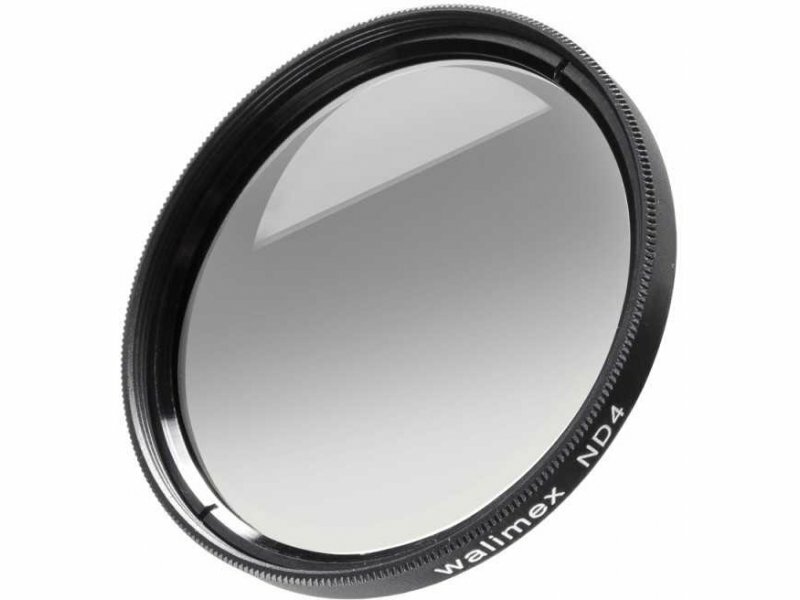 The high-quality lens is inserted in a precisely manufactured metal frame. The filter comes with an additional inside thread which allows you to use additional filters. It is transported in a protective case.